Is Our Biggest Economic Danger Hiding In Plain Sight? 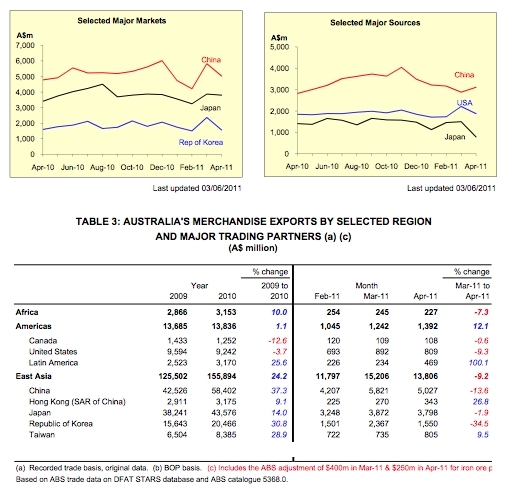 In recent days we’ve looked at threats to Australia’s economic future from China and the USA. And, we’ve looked closely at the internal threats from our over-indebted government, massively risky banking sector, and housing market bubble. Now, a genius short-seller who made $500 million betting against the US housing market in 2007 has pointed out what may be Australia’s biggest external economic threat of all. Buy a farm house in the middle of nowhere, pick up a gun or two, prepare for hyperinflation and brace for a catastrophic bankruptcy. Thirty minutes with hedge-fund manager J. Kyle Bass has you wanting to do all of the above. The head of Dallas-based Hayman Advisors LP isn’t thinking about Greece or even Spain but Japan, the world’s third-biggest economy. He says his bet against Japanese government bonds is even “more compelling” than his gamble to sell short U.S. subprime-mortgage debt, which earned him $500 million in 2007. Shorting Japan has been a losing proposition in recent years. But the earthquake, tsunami and nuclear crisis altered the outlook for a nation whose debt is more than double the size of the economy. Bass says a collapse is inevitable, making Japan’s 10-year bonds — they yield 1.3 percent, among the lowest in the world — a natural for a bear investor. His argument is this: Japan now spends half of its central- government revenue on servicing debt. This task won’t get any easier as the country’s population ages and shrinks — provided rates stay the same. What’s more, the price tag for the earthquake and its effects will far exceed Japan’s initial $300 billion estimate, pushing the country over the edge. In Bass’s view, the biggest asset bubble ever is hiding in plain sight. If J. Kyle Bass is right … and remember, he made a cool half a billion from correctly picking the weakest link back in 2007 … then we can chalk up Japan on our Ever-Present Threat board as well. Possibly at the top of the list. Japan IS the biggest risk and this is acknowledged. Now one expects the Yen to be in a slow decline over the next 3 to 4 years, the problem is, as always, is how one; with only an ETrade account; can benefit through shorting that situation. Rather than options and puts on currency as this is in itself a bigger gamble. The majority do not have the resources of Bass, never had and never will. A safe investment to offset the risk .. but hate ETF so the USD is out and ETrade does not do Japanese Stock Ex and you know that their companies value will always rise when Yen falls. Regretfully one sees the writing on the wall but does not have the cash bass balls to stand in line and cover. Indeed. Well put, and thank you for elaborating (benefits readers who may not be as in tune as yourself viz. trading). I’d be very careful about ‘shorting’ the Yen, the long term trend is well & truly appreciation against the USD. I’d like to hear Bass explain how Japan’s 10yr bonds have managed to be the lowest in the world. Talk of speculative ‘profit’ by ‘shorting’ ignores the tremendous power in the hands of government/central bankers due to the tremendous collective stupidity of the human race. There are bigger ‘profits’ on falling yields, without all the risk, when the central bankers are bidding. Bass might find his head handed to him. I’d be careful about ‘shorting’ anything. But then, I’m one who considers all that kind of thing as pure gambling … in “markets” that are even more rigged than your average casino. JMD, I do not have bass’s cash balls to make such a move and as I said it is difficult to work out a strategy to make anything on what ‘should’ happen. Look at all of the charts and USD is about ready to leave the party, make hay whilst the other currencies languish. The question is not whether it will rise, just a matter of when. Yen, Euro will both be busted and I can see no hope whilst ignoramuses in charge keep are consistently kicking the can down the road. Mind you the can has got a tad bigger (44 g drum now). So, based on all data we know what is to happen, the roadsigns are starting to light up, the potholes are getting bigger but the impact on ones pockets, whilst trying to maintain ones own capital base and be profitable becomes life a lot tuffer! It is easy to ‘gamble’ on stocks, easier to gamble on tradeable bonds with a guaranteed return. The problem is on the former is that you have to be nimble and quick, as like a lot of good footie players, the markets are turning on a dime. Just buying the dips no longer acceptable, as one day the support may not be there. Back to the original, post then and all I see is cash securities in the short term. BUT THIS IS BORING!!! Mind you cash in itself is a position, but I know what will transpire of the next 4 years and come Sept 30, 2014 a new Brady Plan may be needed to fix up all and sundry, including Australia! I may have been writing a bit obtusely. What I really mean is I don’t think interest rates are going to rise in any real sense whether in Japan, USA or even here. Central banks may raise their overnight rates but it will only be a short term thing before they are forced to slash once again. I expect to see longer term yields continue to fall, if slowly. Incidentally, the above scenario is pretty much a replay of the Great Depression, despite the atrocious state of government finances at the time, due to unpayable war debt & the 1920’s credit bubble, government bond yields just kept on falling. The 30yr UST fell to something like 2%, T-bills went negative on several occasions. The big ‘money’ was made in government bonds, since falling yields equals rising prices, not stocks or corporate debt. The Great Depression was not bad for everyone, just the ordinary people who didn’t have the wherewithal to speculate in the government debt market. But one would not invest in the government and semi government bills on offer these days… muni’s are stuffed. Remember that the US has defaulted on their bonds as well.